In the early morning hours of Monday, September 10, 2018, our wonderful Father, Poppa, brother, uncle and friend, Earl Leon Fielding, was reunited with his eternal sweetheart, Dottie. On September 14, 1936 Leon was born to loving parents, Earl Wilford Fielding and Willena M Madsen. He joined a sister, Betty Lou, and later became an older brother to Mary, Reed and Clyde. Leon grew up in the beautiful town of Huntsville, where he developed a strong work ethic and love of the Ogden Valley. He attended Valley Elementary and Junior High where he served as Class President. Leon graduated from Weber High School in 1954 where he excelled in wrestling and won several championships. After graduation, Leon studied Logistics Management at Weber State College and Utah State University. During this time he worked for JG Read Brothers as a saddle/harness maker, Coca Cola Bottling Company and was a parachute rigger for Hill Air Force Base. Leon was also a horse trainer/jockey and was involved in Chariot and Cutter Racing in Utah, Idaho and Wyoming. On Christmas Eve 1958 Leon received a draft notice from the US Army and served his country for two years while stationed at Fort Bragg, North Carolina. Leon was proud of his assignment as a “Buccaneer” in the 3rd US Army Missile Command, Charlie Company of the 32nd Infantry Division and served during the Cuban Missile Crisis. After being honorably discharged Leon moved back to Huntsville and began his career at Defense Depot Ogden (DDOU). He was a Facilities Manager responsible for the assembly, modification and distribution of portable hospitals called DEPMEDS, used most notably during Operation Desert Storm. He retired in 1993 after 37 years of Federal Service. On September 9, 1961 Leon married, Dorothy Leona Bailey, at the Weber County Memorial Park and on March 23, 1974 their marriage was solemnized in the Ogden LDS Temple. Two daughters were born from this union, Shelby (David) Mark and Laina (Chad) Priestley. Leon was the proud Poppa of TJ, Melissa, Katelyn, Haley, Kendalle and Karli; and Great-Grandpa to Demrie, Olyvia, Adelynn, Lincoln, and Myles with two more on the way. 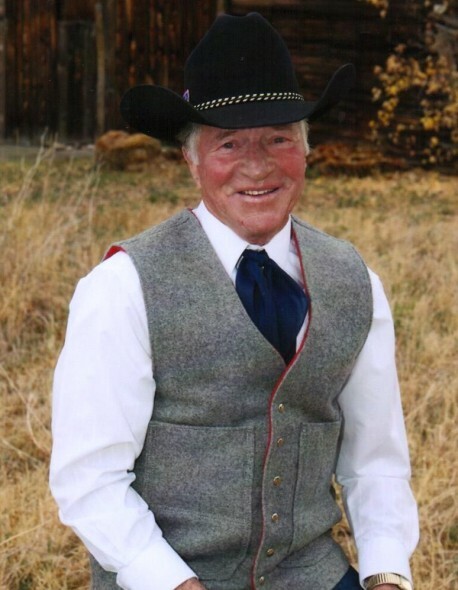 Leon was an active member of The Church of Jesus Christ of Latter-day Saints Middle Fork Ward where he enjoyed many callings including Regional Sports Director, High Priest and Executive Secretary. Leon was a proud member of the American Legion Post 129 where he served as their Chaplain for many years. He also served his community on various planning commissions for unincorporated East Huntsville and Weber County. Leon’s passion was raising livestock, especially sheep, at his small farm in Huntsville. He truly loved taking care of them and often put their needs before his. Leon hobbies included boating, camping, traveling, skiing, golfing, bowling, and riding horses. Leon is survived by his daughters, sons-in-law, six grandchildren, five great-grandchildren and brothers. He was preceded in death by his wife, parents, sisters and one great-grandchild. Funeral services will be held on Saturday, September 15, 2018 at 11 a.m. at the Middle Fork Ward, 6500 East 1900 North, Eden, Utah. Friends may visit with family on Friday from 6 to 8 p.m. at Lindquist’s Ogden Mortuary, 3408 Washington Blvd and Saturday from 9:30 to 10:30 a.m. at the church. Interment, Huntsville Cemetery. In lieu of flowers, please donate to the LDS Church Missionary Fund or Best Friends Animal Society Kanab at Bestfriends.org. Leon’s family would like to thank Maple Springs of North Logan and Pine View Transitional Rehab for their loving care of our Dad. We’d also like to thank the LDS Middle Fork Ward for the compassionate service they provided to our parents over the years.